Recently I have spoken with a lot of soon-to-be college graduates who are purchasing signet rings instead of college rings. To me, this is a great idea! I have both a college ring and a high school ring which sit in my jewelry box and I never wear them. I’ll probably eventually end of scraping them. I wish I had had the idea to get a signet ring instead of a college or high school ring. I know if I had thought of it, I would still be wearing the signet ring off and on and it wouldn’t be sitting in my jewelry box. Perhaps it would even be something I could pass down to my daughter. 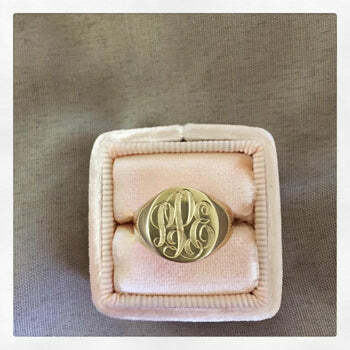 A signet ring is a classic ring that can be personalized with initials, dates, sayings etc. Here are a few of my favorite signet rings that could serve instead as a high school or college ring. SRRS141 is a ladies signet ring with a solid back measuring about 12.5 x 11.2mm. I prefer slightly larger pieces of jewelry so this would be my preference. Personally, I also prefer a slightly rounded or oval look, which this one is! Style SRRS251 features an oval face that spans across the finger. This too features a solid back (my preference) and is perhaps a bit more unique than the traditional round or oval face. You could engrave your initials on the face and your graduation date on the inside to make it even more personal. 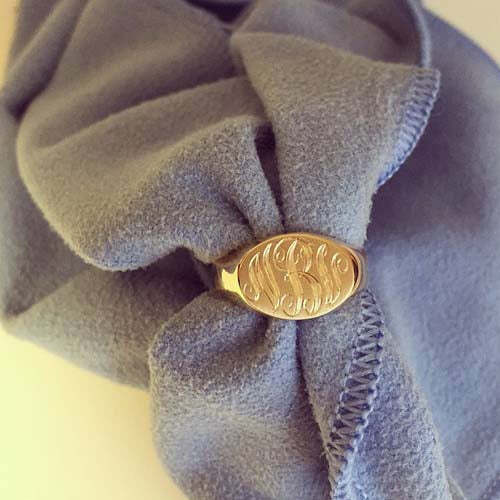 If you are considering purchasing a college or high school ring, be sure to consider a signet ring. A signet ring can be worn and enjoyed for years to come. You can personalize it with initials, a graduation date or graduation year. It will be a special keepsake and a reminder of your time in college or high school. If you need assistance with a signet ring, do not hesitate to call on us!